Upper Deck is rocking Gen Con with a life size alien lording over the crowds as they walk by the booth. 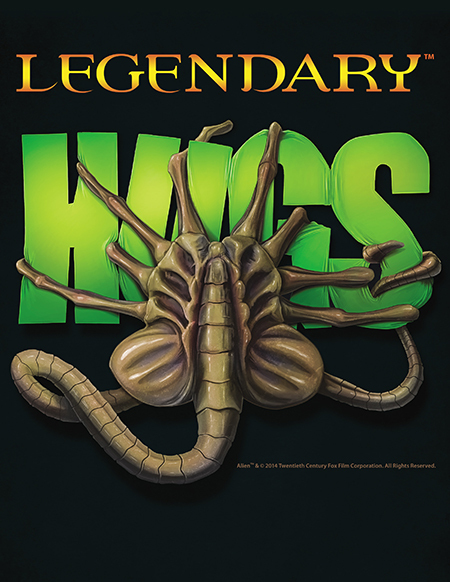 That’s to help kick off the pre-launch of Legendary Encounters: An Alien Deck Building Game. The company has also teased the return of the Vs. system, which they’ll release more details on as the convention continues. To celebrate the company’s 25th anniversary they’ve got a lot going on during the convention. 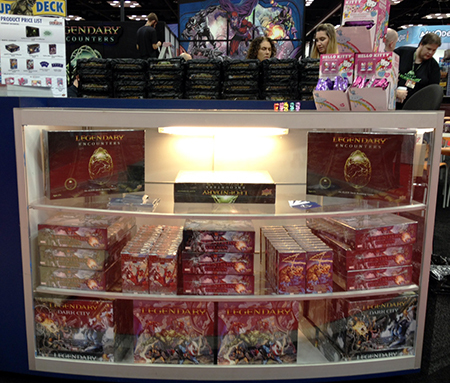 What fans seem to be most excited about is the new Legendary Encounters: An Alien Deck Building Game. Upper Deck will be offering the product on presale there before fans can get it in stores for just $60 and we will be hosting demos of the game all weekend long for fans to give it a try. 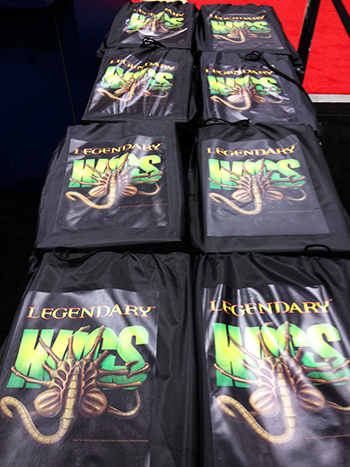 Fans who score the Legendary Encounters game can also score a FREE Alien “Legendary Hugs” slingpack! Upper Deck will be hosting win-a-box tournaments at the booth from Thursday through Sunday. There will also be a free raffle each day as a way of saying thank you to their fans for 25 great years. Upper Deck will be offering up free birthday cake to fans at 12:00 p.m. on Saturday as folks sing, “Happy Birthday” before passing out the delicious dish!